I have been a huge fan of the Hillbilly Housewife for years. I link to the recipes on that site because they are tasty, easy and budget friendly. Sunday night, I made the Kettle Corn recipe. OH MY STARS!! This tasted JUST like Fiddle Faddle! SO VERY GOOD!!! I will definitely make this again!! Over a medium-high flame, heat the corn oil in the bottom of a heavy 3-quart saucepan. Sprinkle in 2 or 3 popcorn kernels. When the kernels pop add the sugar, and then the remaining popcorn. Cover with a good lid. Shake the pan over the heat while the popcorn pops. When the popping stops, remove the pan from the heat. Immediately pour the hot popcorn into a bowl. Try to remove any oldmaids with a spoon or fork. The popcorn will be hot and sticky so be very careful not to burn yourself. The popcorn should be lightly coated with a beautiful amber caramel. 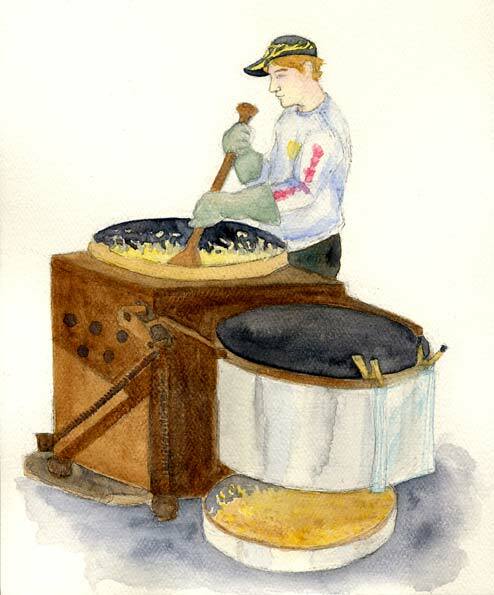 Salt the kettle corn to taste and serve to thankful recipients. Makes a large bowlful. Tastes best late at night while watching a scary movie with friends and family. Also, it is VERY hot when it is first finished. When you pour it into a bowl, let it sit for about 5 minutes before touching it. Then give it a really good stir to let all the kernels on the bottom cool. Cool completely before eating. That was the neatest recipe that I have ever tried. I might just eat the whole batch. It is so good!! I love kettle corn. I have bought some from the store, but never made it myself. I will have to give this recipe a try.